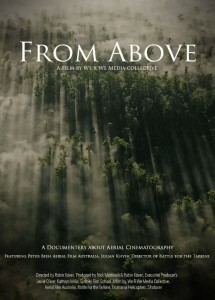 ‘From Above’ session screening: Sat 16 Jan 2016, 4.30pm, Bondi Pavilion, Bondi Beach, Sydney. During the last production period for Battle for the Tarkine documentary, Julian Knysh and ‘Tarkine In Motion’ Crew brought to Tasmania for the first time the Shotover K1 aerial cinematography mount, the only one in Australia and one of only about a dozen in the world. By special arrangement Robin Kover, a graduating student at Sydney Film School, completing his thesis film project accompanied our crew. His initial interest was in the technicalities of aerial cinematography. 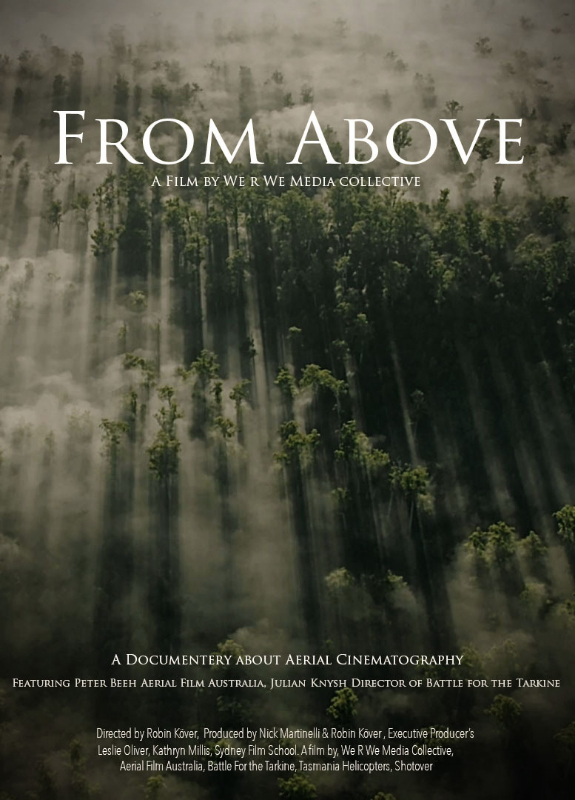 He ended up being thrown into the deep end of the wilds of the Tarkine and has now completed his short film From Above, a documentary about their documentary production. Robin’s film captures a behind the scenes look at cinematographer Peter Beeh and director Julian Knysh battling the constraints of a very tight budget and wild weather on a shoot to capture the wild and raw beauty of the Tarkine Wilderness. 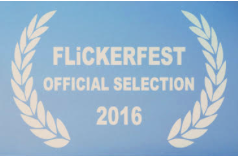 We are very pleased to announce that SFS documentary From Above (Director: Robin Köver, Producer: Nick Martinelli, Editor: Raphael Palencia) has been accepted to screen in the Green Flicks Programme at (all film screenings details) Flickerfest’s 25th International Short Film Festival. This entry was posted in Climate Change News, Climate Science, Uncategorized and tagged Flickerfest, save the rainforest, Tarkine. Bookmark the permalink.